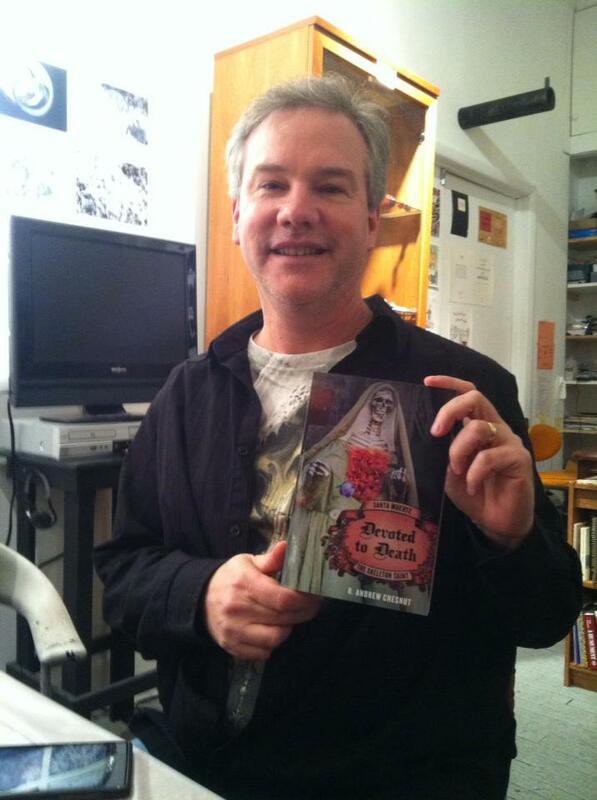 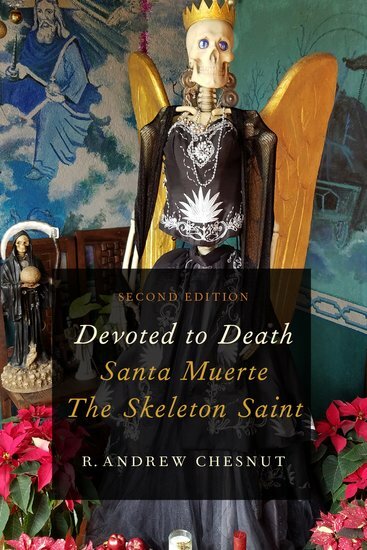 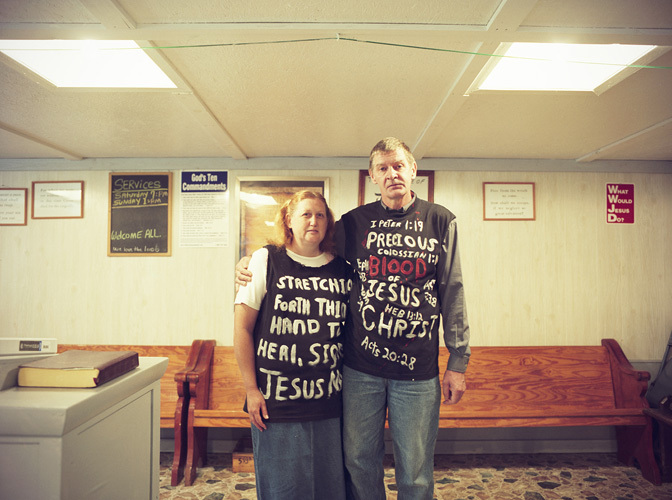 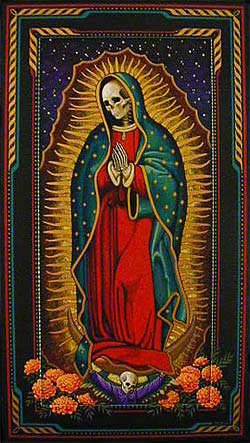 As Dr. R. Andrew Chesnut, who was featured on the Morbid Anatomy panel, points out in his book Devoted to Death: Santa Muerte, The Skeleton Saint, when we go back to the original iconography, and look at how She is represented in other parts of the Americas, we find that Her imagery draws much more from the Grim Reaper, as portrayed in 1980′s and ’90′s fantasy art, than She does any kitsch reworking of the Holy Mother to fit more saleable ideas of Santa Muerte’s nature. 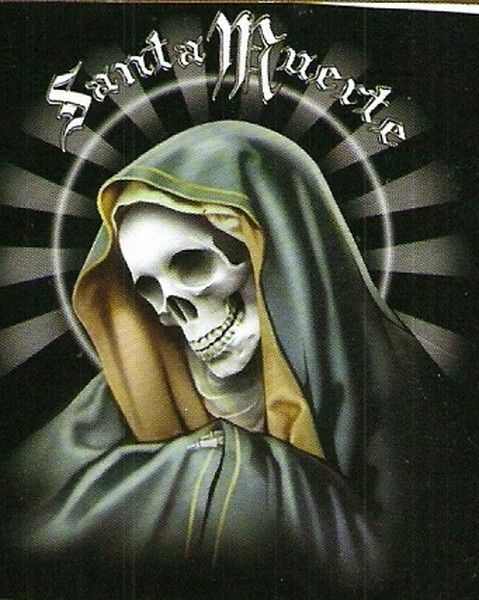 For those saturated in the ironies of popular culture the Mountain t-shirt company has become notorious for its animal shirt designs, one of the more popular ones being three wolves poised melodramatically mid-howl against a full moon. 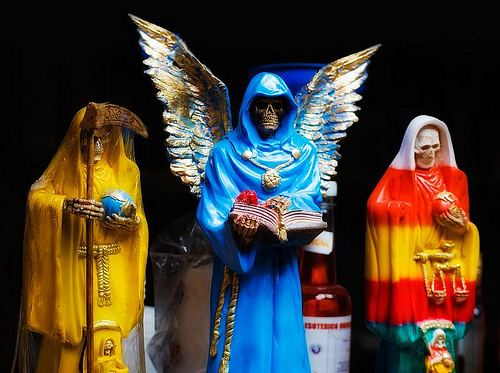 Available at Walmart, Spencers, and many other stores catering to the popular markets, these products have the distinction of being rather culturally radioactive. 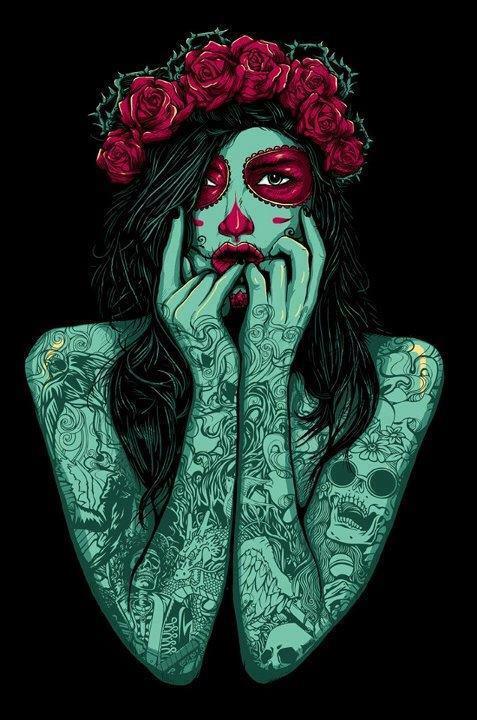 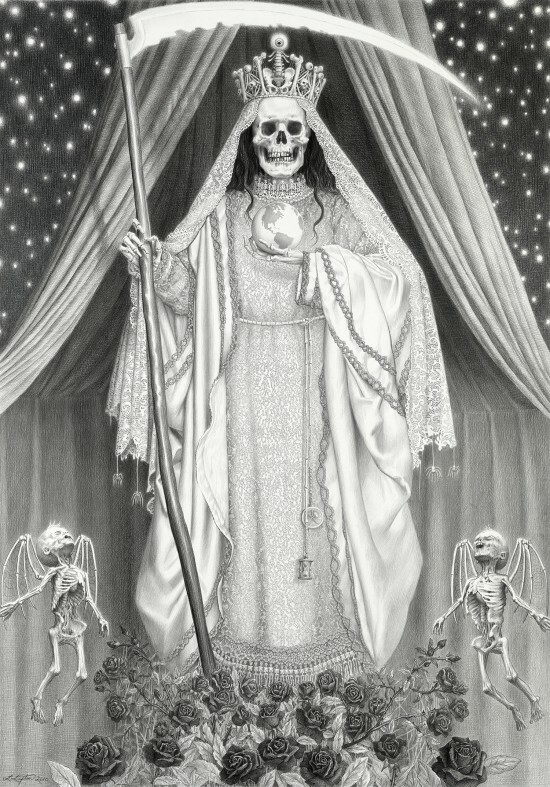 They conjure cultural stereotypes of socially awkward neo-pagans, more than a righteous representation of Holy Death’s devotions, yet it is here that we find a clue to Santa Muerte’s original commercial iconography. 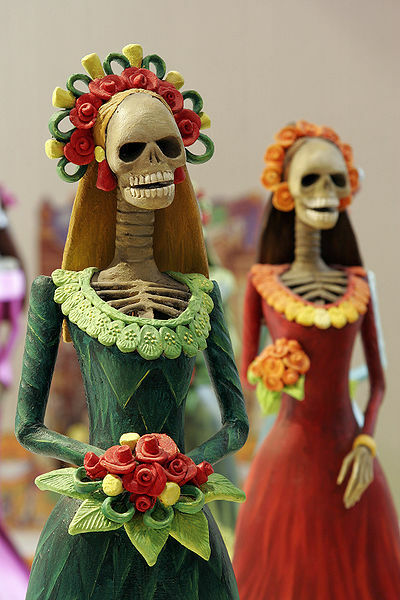 Holy death covenant forsakers forum!